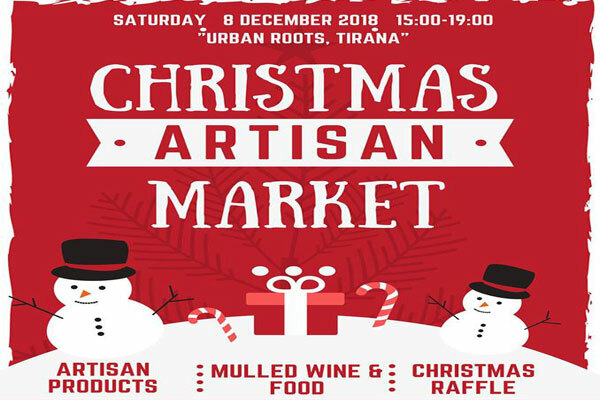 Brought to you by The Balkanista and Urban Roots, the Christmas Artisan Market will take place on Saturday December 8th between 3pm and 7pm at Urban Roots, Tirana. Bringing togther a selection of local artisans, crafts people, artists, and small businesses, it is the perfect place to pick up some stocking fillers and christmas gifts. Choose from handmade, organic beauty products, wine, bespoke jewellery, artisanal christmas cards, knitted goods, toys, scarves, and much, much more. 25% of all revenue from each stall holder will be pooled and donated to Useful to Albanian Women (a charity supporting survivors of domestic violence) and the Food Bank Albania. Get your hands on some beautiful and authentic christmas gifts, and know your money is going to suppor both local busineses and those less fortunate this Christmas. We will be serving mulled wine and seasonal snacks throughout the day, so put it in your diary and don't miss out on the most festive event of 2018!